In the first two installments of How to Get the Most for Your Home we looked at Preparing, Positioning, and Promoting your home. Today we’ll discuss pricing your home so you get the get the highest market value possible. So grab a glass of wine and get your calculators ready – it’s game time! This whole series has been designed to get you the most for your home so it may seem as if pricing would be the most important chapter. However, pricing is just part of getting the most for your home, and as we’ve seen, the process is multi-faceted. In earlier installments, we outlined the 4 Ps of our real estate marketing mix and if you’ve laid the correct groundwork Preparing, Positioning, and Promoting your home, you’ll be in the best position to get the highest Price. While we touched briefly on this in the last chapter, the starting point for determining the price for your home will be reviewing the recent sales in your neighborhood. We can get into all kinds of conversations about what determines value, but the truth is, we’ll have to lay the foundation with these sales in order to substantiate the price of your home. You can typically find a history of recent sales online but a good real estate agent can help you expand the scope of your comparable properties. They will also be able to provide you with information that is only available in the MLS – things like seller paid closing costs, etc. Everyone’s home is unique though and you will need to make adjustments to any of the “comps” to arrive at a value you think your home is worth. Again, a good real estate agent can be invaluable here. Pro tip: Ask your real estate agent to look up what the sellers also agreed to pay towards the buyer’s closing costs. Many buyers will ask the seller to contribute money towards their closing costs in addition to or in-lieu-of a reduction in price. Seller paid closing costs can often exceed $10,000, so it’s important to understand if the sales you are using to establish price also included these seller costs. Your real estate agent should be able to quickly pull this information for you. How much competition do you have right now? If there are only one or two homes that are similar, you can be a little more aggressive with your pricing than if there were , say, two dozen other options nearby. The average “days on market” it’s taking homes to sell in your area is a good indicator of how hot or cold your market is. If most homes are selling in seven days or less, chances are your neighbors have been pricing their homes to low. On the other hand, if it’s taking several months to sells homes in your neighborhood, you may want to be a little bit more conservative with your pricing. Right now, here in Atlanta, anything older than 30 days is an indicator that a home may be overpriced (60-90 days for homes over $800K). Absorption measures how long it would take to sell all of the homes currently on the market given the pace of recent sales. If there are 10 homes currently for sale in your neighborhood and there have only been 3 sales in the last 90 days, then there’s roughly a 10 month supply of homes right now, i.e. : it would take 10 months at the current pace for all of these homes to sell. Obviously, the faster the absorption rate, the more aggressively you can price your home. How robust is your marketing plan? Have you clearly differentiated your home from the competition? When you have a solid marketing plan in place, you can always be a little more aggressive with pricing. One of the things you can do here is to look at how your competition is being presented to the public. Is yours being marketed in a way that would cause potential buyers to perceive it as worth more? Pro tip: Buyers search in price bands so it’s important to keep your price just under certain limits in order for your property be exposed to as many buyers as possible. A price like $509,000 won’t be exposed to nearly as many buyers as one that is priced at $499,000 because many buyers cap their search at $500,000. While we always want to get the most for your home, a good agent will always recommend that you don’t stay too far from what the comparables suggest your house is worth. Doing so is always a recipe for disappointment. 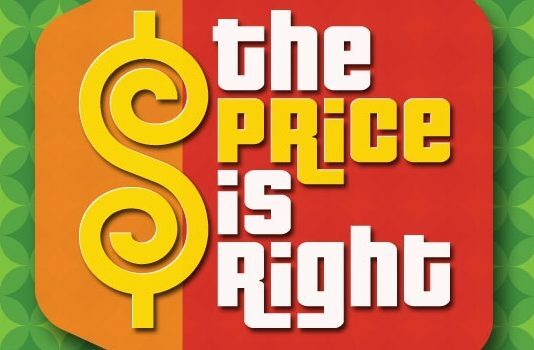 Many sellers like to start with an unrealistically high number to test the waters, thinking they can always reduce the price later if they don’t get any offers. However, the market is smart, and homes that have been on the market for more than 30 or 45 days will quickly begin to be perceived as damaged goods. Frequent price reductions can also suggest something worse …desperation. Buyers are vigilant, and they know of how long homes have been sitting there. And if they’re not, their agent certainly will be. Buyers can smell blood and a home that’s been sitting on the market for a while – even if it is top notch – will start inviting lowball offers. A seller’s negotiating position is at its strongest during the first 4 weeks. Anything beyond that, buyers will know they don’t have much competition and gives them more confidence to start lower. One other caveat here is that even if we do get an offer for the inflated sales price, it has to be substantiated by the comps and other supporting evidence, otherwise it won’t appraise and we’ll be stuck reducing the price or trying to or trying to find another buyer. While it does happen, having your house pop back on the market after it’s been under contract is usually seen as a red flag by buyers. It’s best to avoid it whenever possible. Appraisals are notoriously difficult to challenge. I recently spoke with several dozen agents about this and collectively we could only come up with one successful challenge. Oddly enough, the successful challenge occurred on sale where I was the listing agent. After going over the appraisal with a fine comb, I found an apparent contradiction in his analysis. I presented this to him politely and professionally and asked him to simply review the data. Once he realized his own data didn’t support his valuation he begrudgingly agreed to increase the valuation by 5%. Again, this is the lone exception I’ve come across. By and large you’ll typically only have three options if the appraisal comes up short. First is convincing the buyer that the appraisal was incorrect and that they need to try a different lender (and pay for another appraisal). As you can imagine, this is an uphill battle. If he buyer has additional cash available you can ask them to pay the difference at closing …in additional to their down payment. You can eat the difference between the appraised value and the contract price. While I’ve had some success convincing a buyer to pay the difference between the appraised price and sales price it can be pretty tricky. Unfortunately, the two most common outcomes are typically a reduction in the contract price or the buyer canceling and walking away. Pro Tip: If the comps don’t support the price the buyer agreed to, be sure to document exactly why your home is different and more valuable so you can help an appraiser arrive at the correct value. In the next installment of How to Get the Most for Your Home, it’s Showtime! Now that your home is ready for the market, we’ll discuss best techniques for showing your home.